What you’ll learn: • How to solve when objects move off-screen • Add a new object to a solved camera • Making the correct solve order Sometimes it is not possible to track a feature throughout the entire shot. In this tutorial we see how to get a good solve with features that move offscreen. We then see the possibilities for adding moving features to our tracked and solved camera. 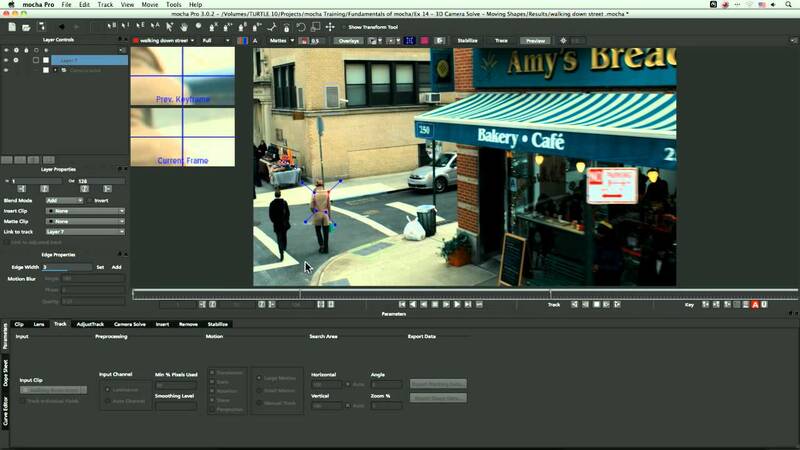 To test our solve we move to After Effects and check out the camera track and the object track.